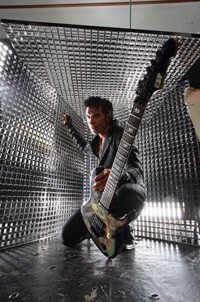 George Lynch’s Lynch Mob have announced their early 2011 tour dates. The band is touring in support of their reunion release ‘Smoke & Mirrors’, which was voted as one of the Best Albums of 2009 by Sleaze Roxx readers. George Lynch has also cut down the rumors of a Dokken reunion by saying, “We feel it’s important to let folks know there will be no Dokken reunion in the foreseeable future, if ever. This is Don Dokken’s decision, despite Jeff Pilson’s and my best intentions and efforts over the past few years to make this happen in good faith. My apologies to VH1, Eddie Trunk, Steve Strange and all the fans who were pulling for this to happen”.